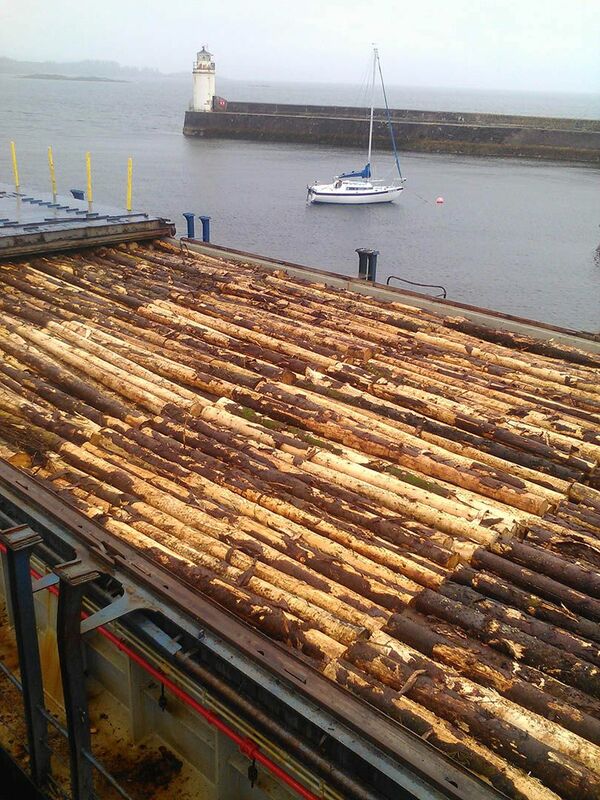 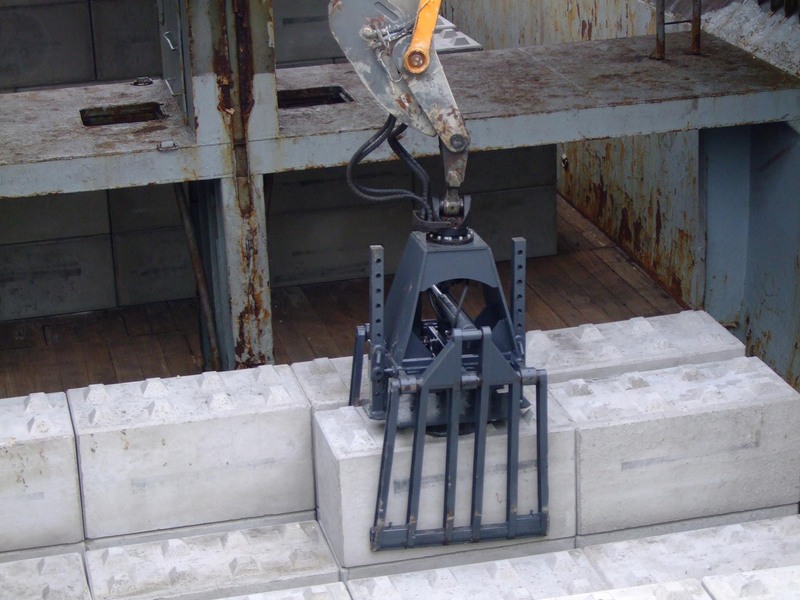 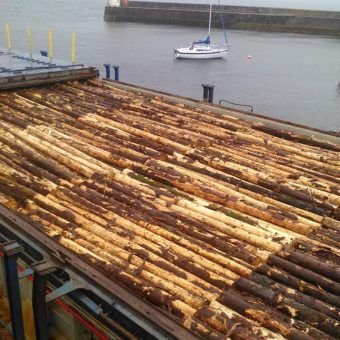 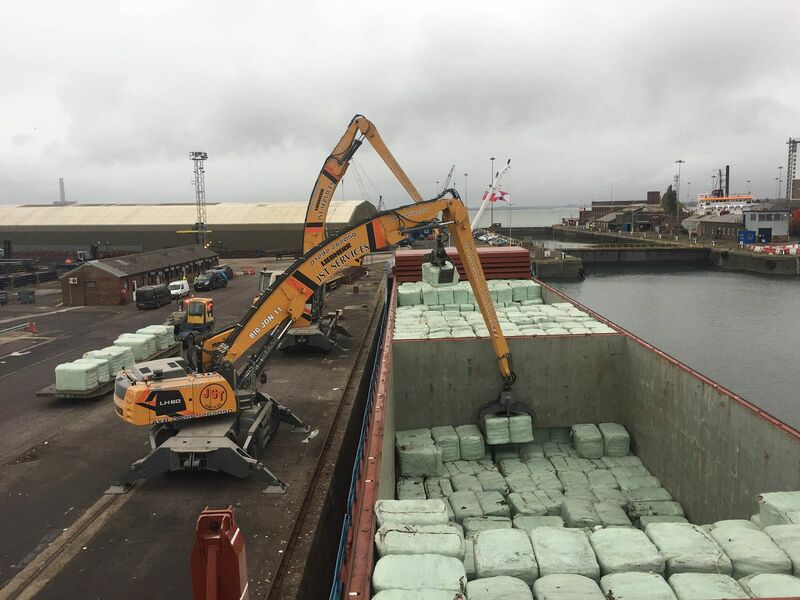 JST Services Port handling provide solutions to Ports /worksites and Plants that either don’t have any handling equipment or to supplement customers existing on-site machinery. 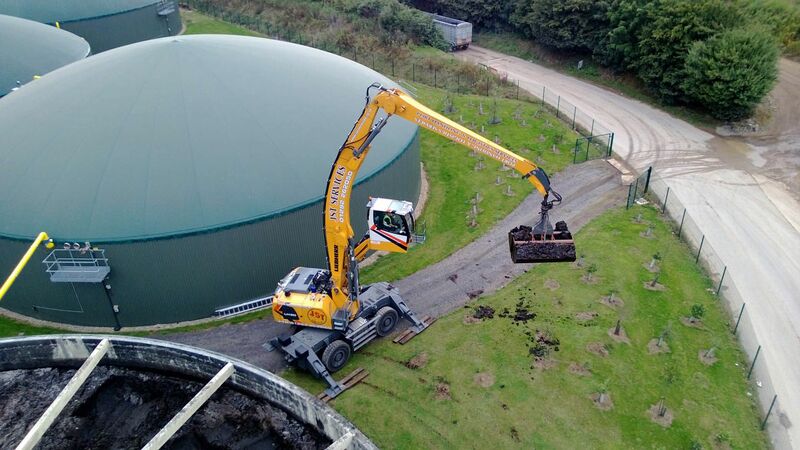 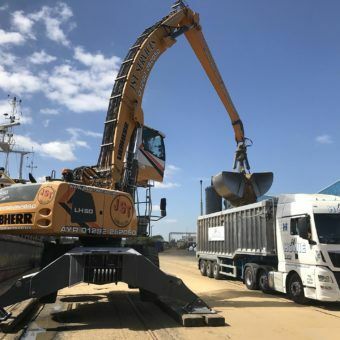 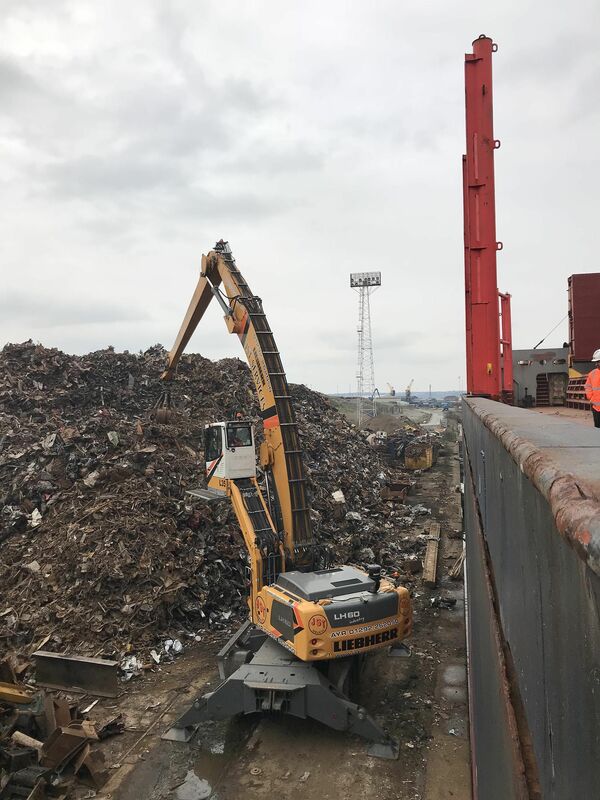 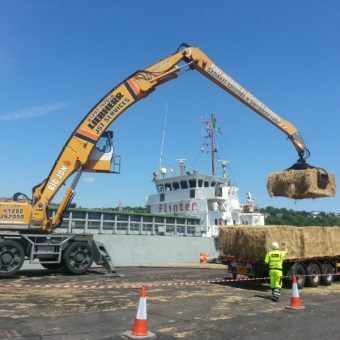 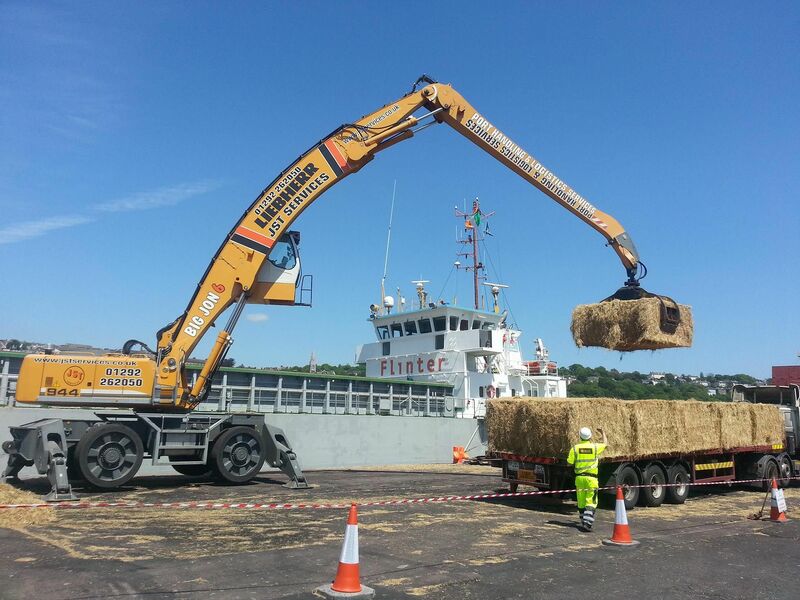 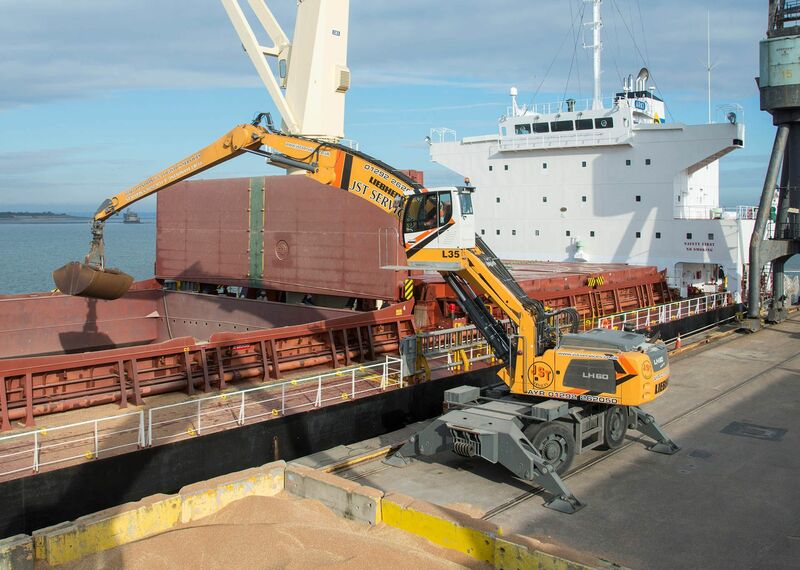 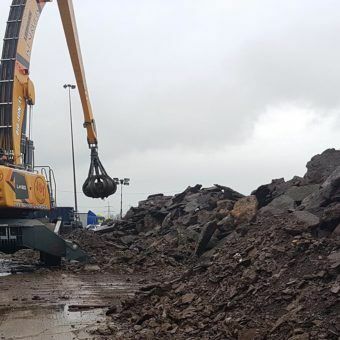 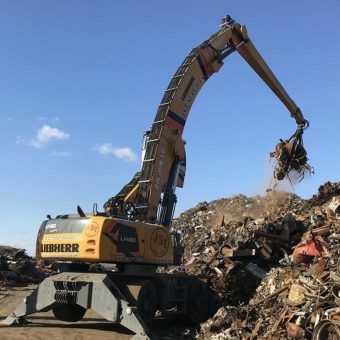 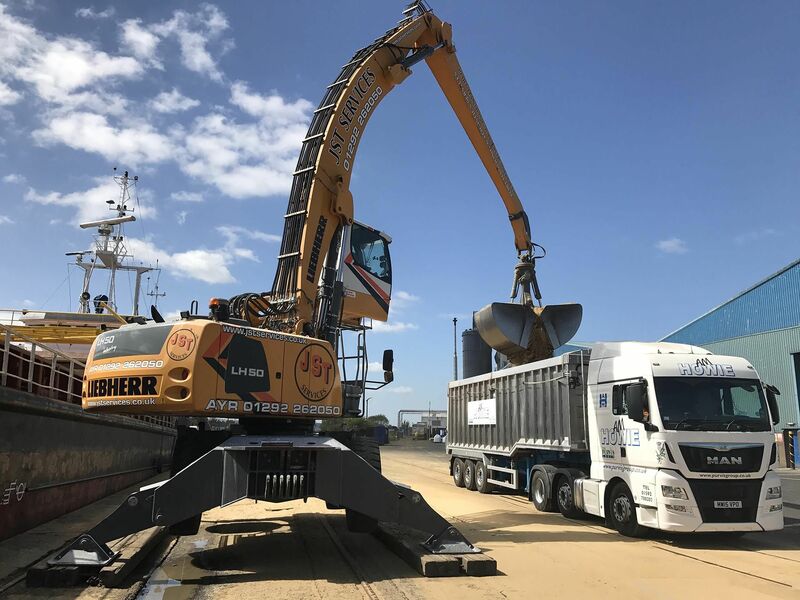 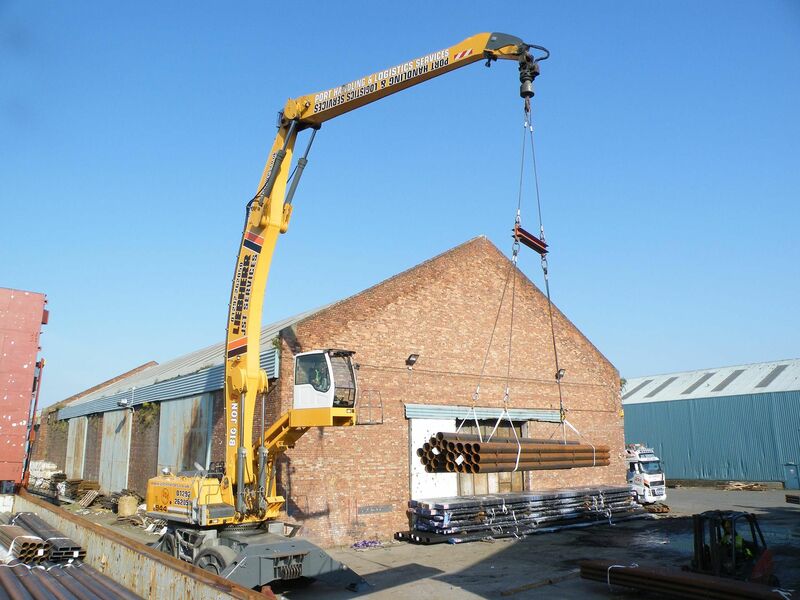 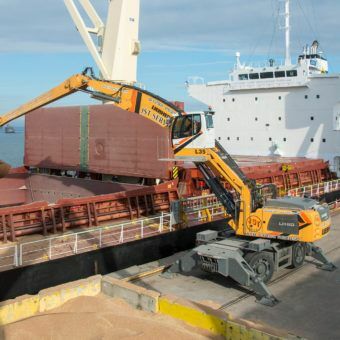 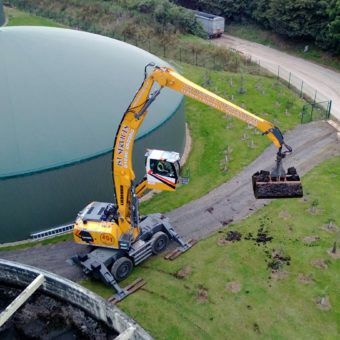 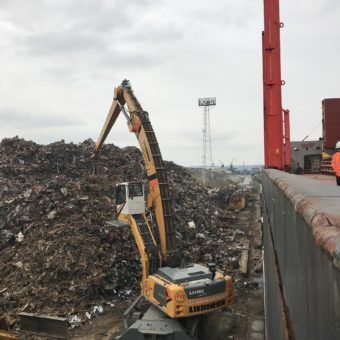 The unique mobility of the machinery system allows a JST Services loader to be at any port in the UK and Ireland, often within hours of a call, with loading or unloading commencing upon arrival. 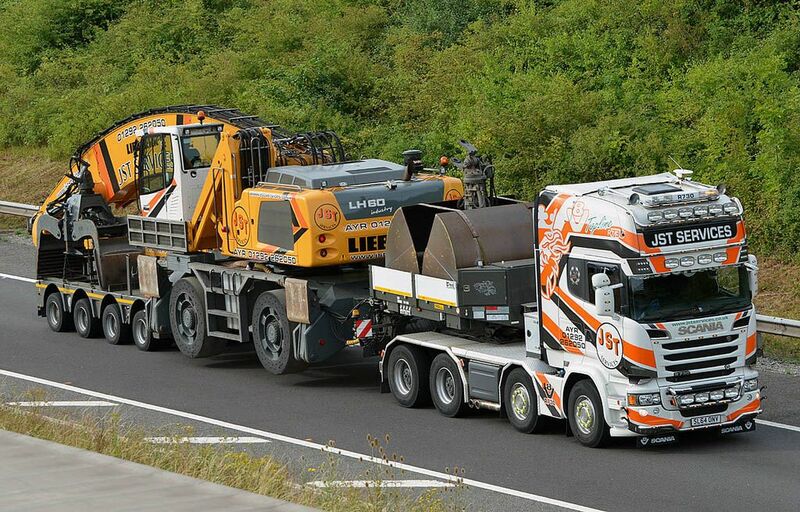 The original concept of this transport system was both pioneered and patented by John Scott, owner of JST Services. 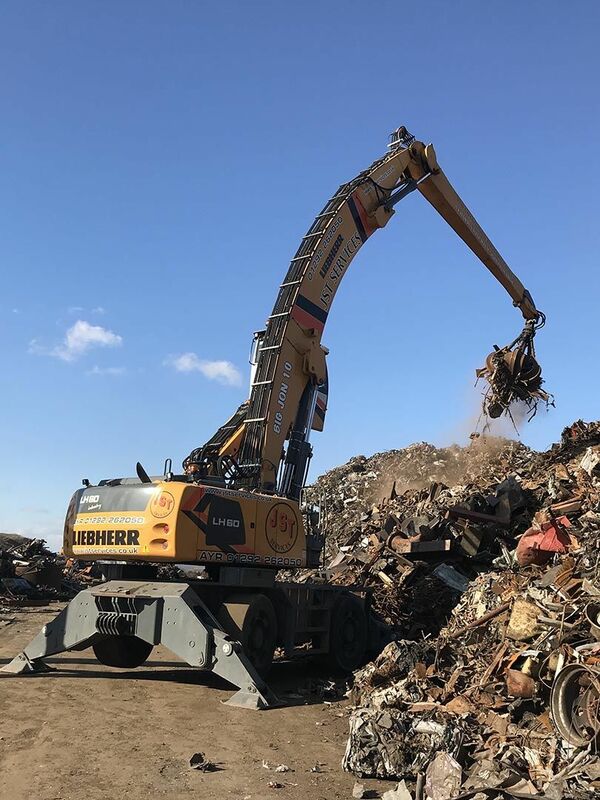 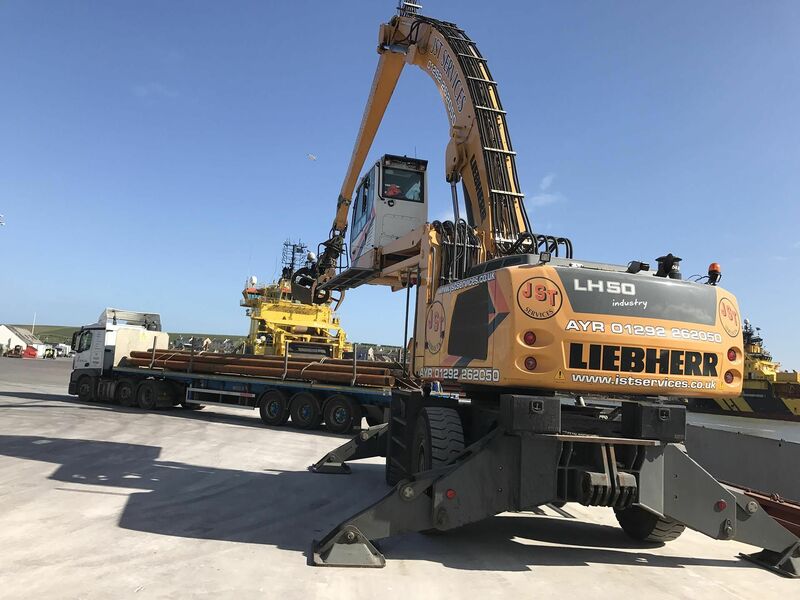 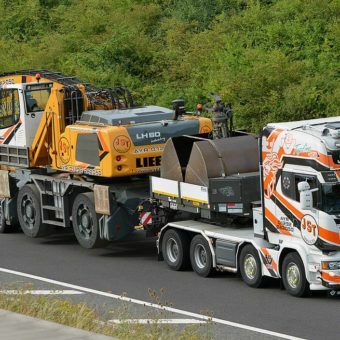 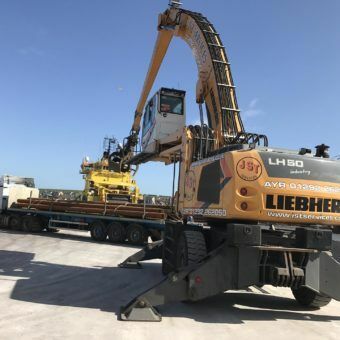 Through partnerships with Liebherr and trailer manufacturers, the first machine was completed and became operational in 2004. 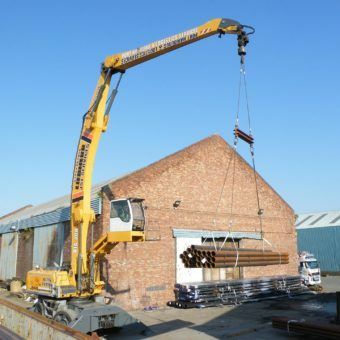 The results achieved were outstanding, resulting in further machines being added to the fleet. 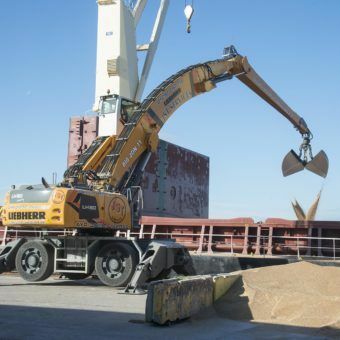 This now totals in excess of 30 knuckle boom loaders ranging from 25 to 110 tons. 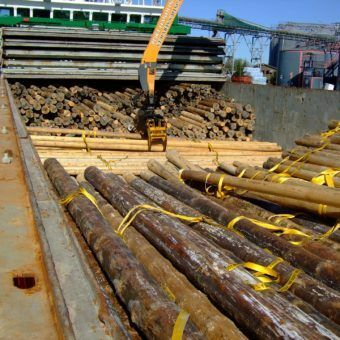 By efficiently dovetailing with our other in-house departments, we can both design and provide turnkey 3rd party logistics solution packages (i.e. 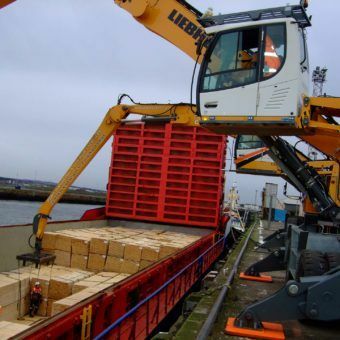 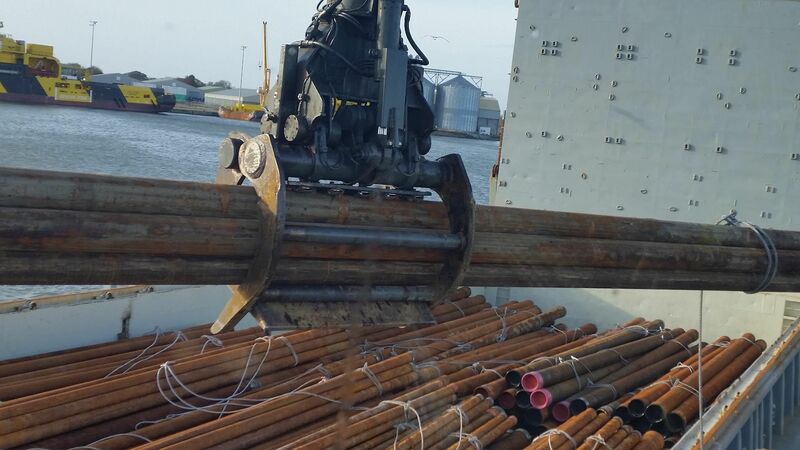 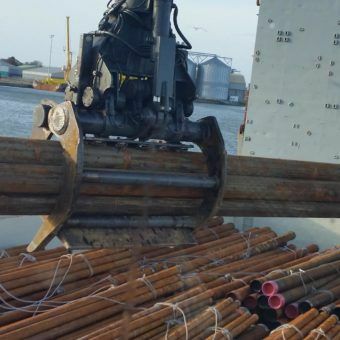 Shipping/handling and haulage) to compliment the Mobile Port Handling machinery. 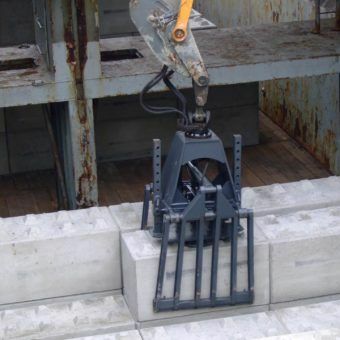 Pricing is normally inclusive of machine positioning, labour and fuel. 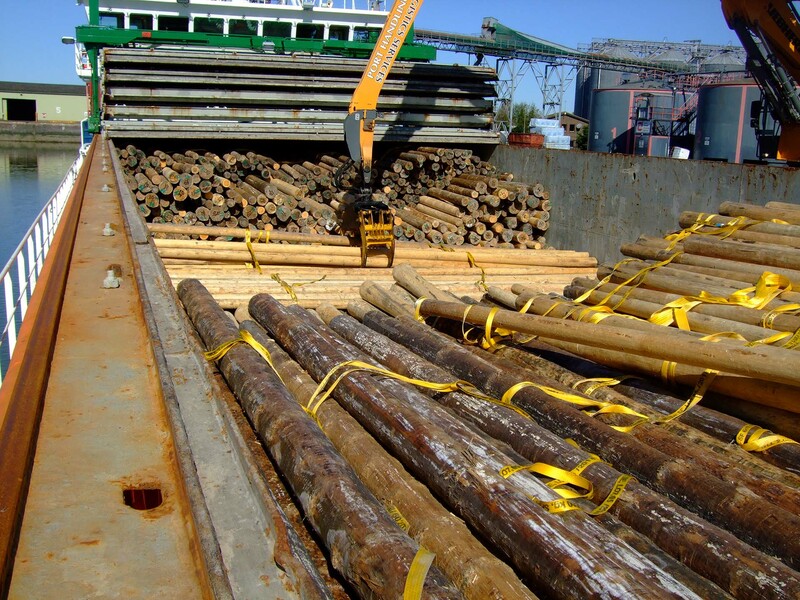 This allows clients to straightforwardly cost Port handling operations into budgets and projects. 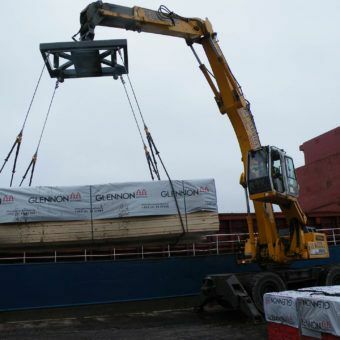 The mobile machines can handle almost any coaster size ship. 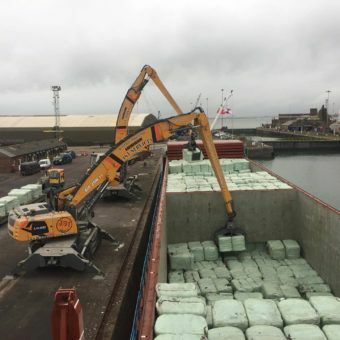 On bigger ships the machines will work in holds of up to an 11-metre depth and an 18-metre beam with combing heights from the quay of up to 5 metres. 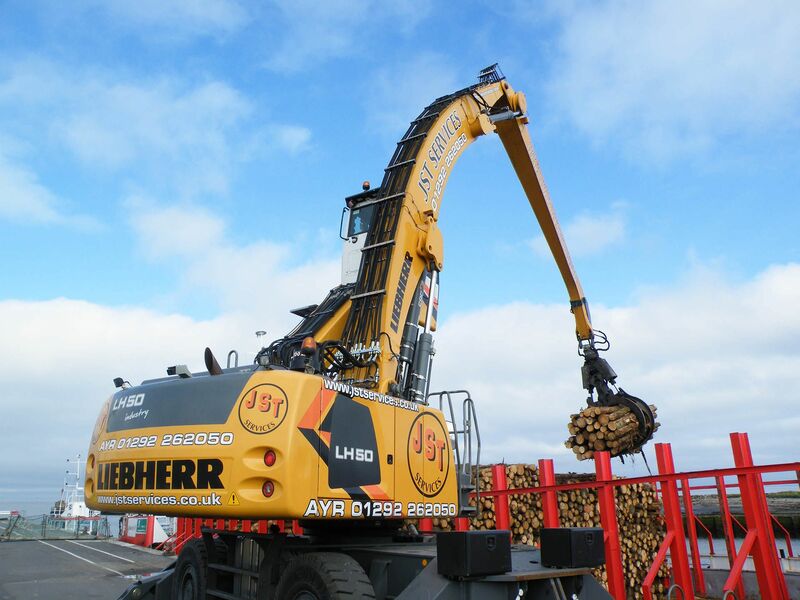 All machines are fitted with hydraulically raised cabs to give a 7.5-metre eye-level. 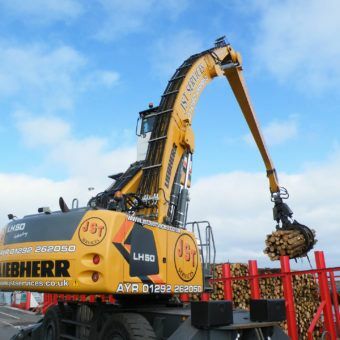 Digital cameras are fitted on the end of the machine boom. 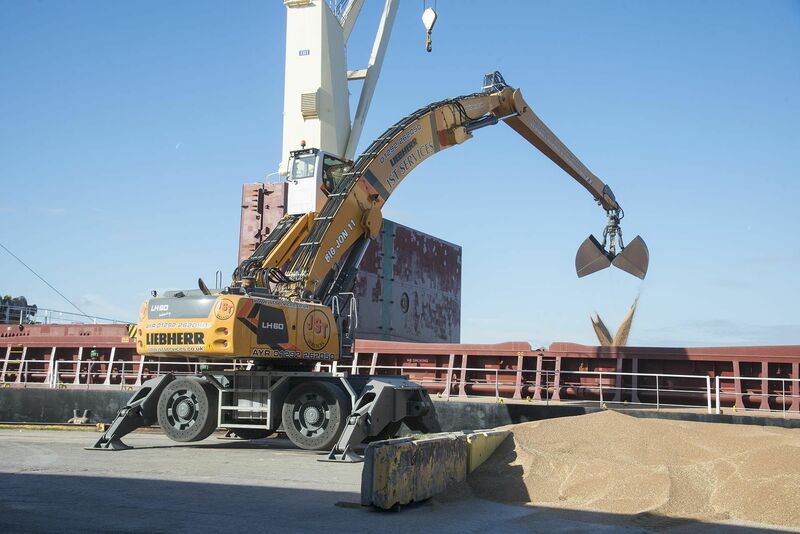 Both of these give the operator optimum visibility into the ships holds. 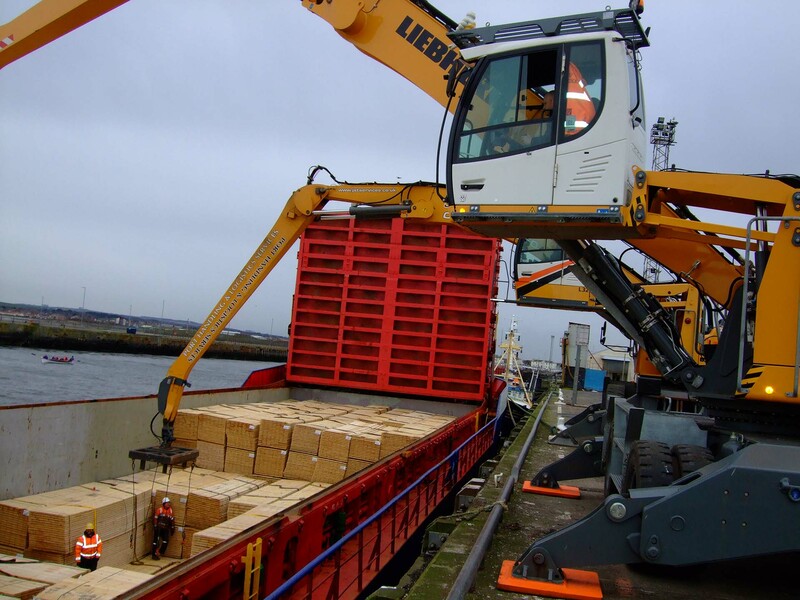 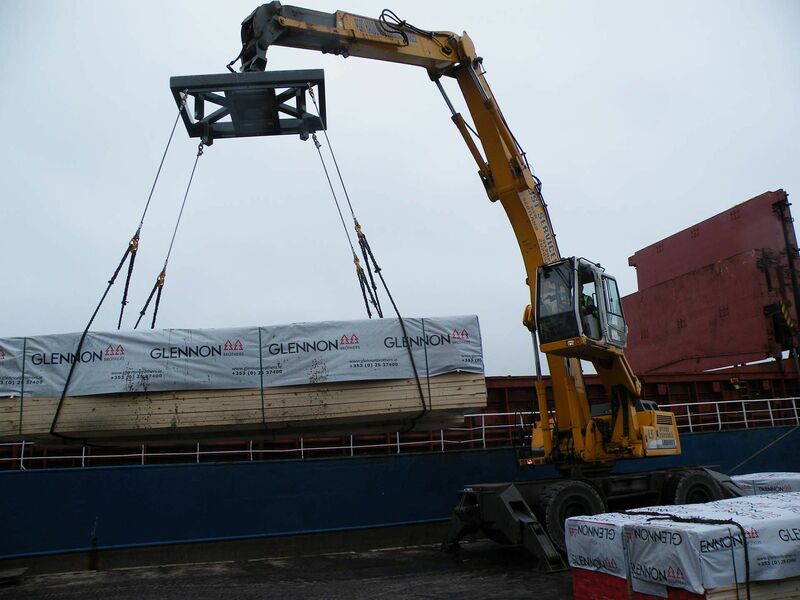 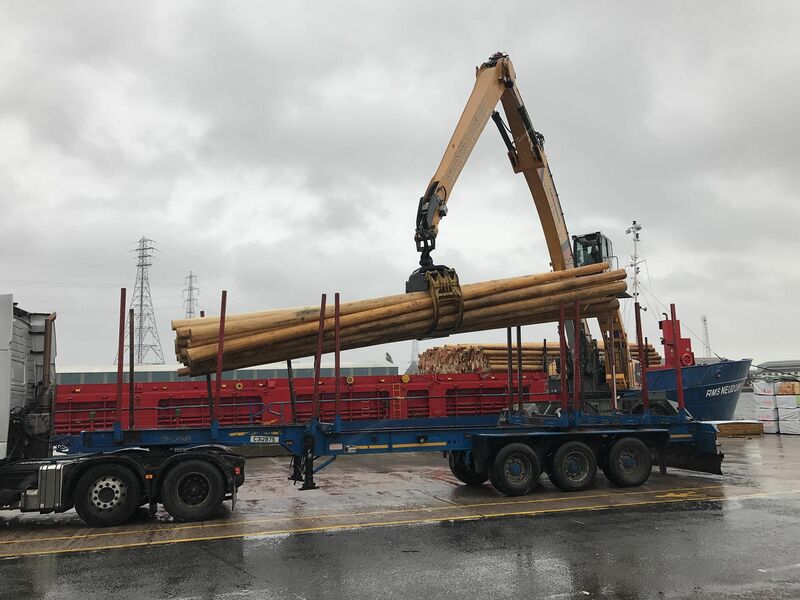 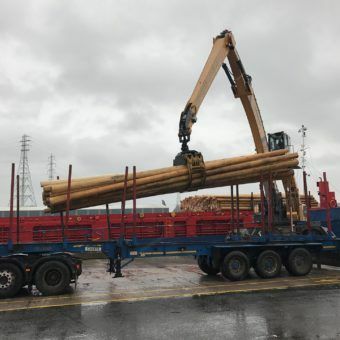 We are regularly assisting around 105 customers in the transition from traditional port & forest logistics to modern, efficient materials handling operations.